The local police appear totally under-equipped and demotivated to even begin to deal with the crisis. Thandeka Gwala, the daughter of the slain officer, said the family was traumatised. She said her father was watching a soccer match in an outside building with his friends when they were shot. Last month, ANC member in the Moses Mabhida region Mhlengi Khumalo was gunned down in KwaPata at night while alone in his house watching TV. His murder followed the murder of an ANC former ward councillor Musawenkosi “Qashana” Mchunu in May 2018. Arrests followed both murders. 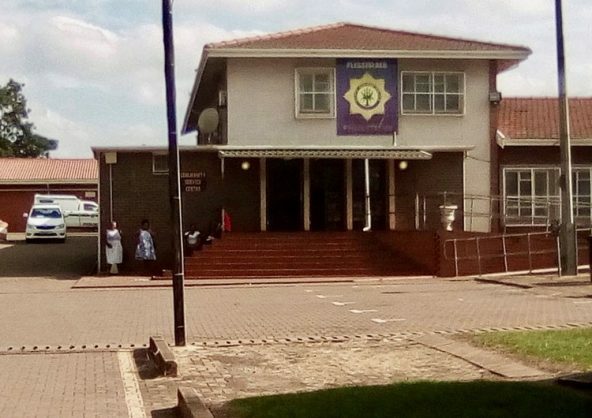 Cele has visited the Plessislaer police station twice. In February, while visiting the families of victims, he told GroundUp he was aware that the community was unhappy with the station. He said a task team would work jointly with the Plessislaer police station to find the perpetrators behind Gwala’s murder. In May 2017 the Pietermaritzburg community marched against crime. Residents said many cases opened at Plessislaer police station were not attended to. Community Police Forum chairperson Sfiso Mavundla said the delays dealing with reported cases was worrying. He said as the community they had lost hope in the police. “The community knows those people, but they are scared to report them. They fear that they might be killed. We have had witnesses killed in this town. People are scared. The minister should call an Imbizo to hear what the community has to say. He should also give members of SAPS a platform to share their frustrations,” said Mavundla.